There are many words that spring forth when asked to describe Duncan Jone's first film, Moon. The first would have to be amazing, the second would have to be awesome and so on and so forth. You can see the direction where this is heading. Yet, after seeing the theatrical trailer for Zowie Bowie's sophomore release, new thoughts emerged such as "lame,""looks like the gent expended all of his creative juices on his first film" or "yay, yet another film to fuel my internal dislike of Jake Gyllenhaal." To put it mildly, what is lower than having "low expectations." I have it...! Lack of interest. Another "lack of" manifested this past Sunday in the form of no movies to see at any theaters in a town with nothing to do. So, I decided to take a chance with my hard earned dollar fifty and bought myself a ticket for a seat in a rundown theater. As my expectations sank lower, I was pleasantly surprised to find that the film was not that bad on a superficial level. Yes, if you take Source Code at face value, you have an enjoyable thriller with superb acting from Jeffrey Wright, Vera Farmiga and even Jake. However, if you think about it more in depth, you will find a film that is deeply flawed. What is source code? Evidently, it allows humans to tap into the residual memories of the recently deceased and recreate them for the span of eight minutes. Ok, what is source code? It is a mixture of quantum mechanics and parabolic calculus. Fabulous, so it is time travel? No, it is a construct of the mind. (Irritated) Can I create a new reality within it? Sadly, no since what has happened has already happened. 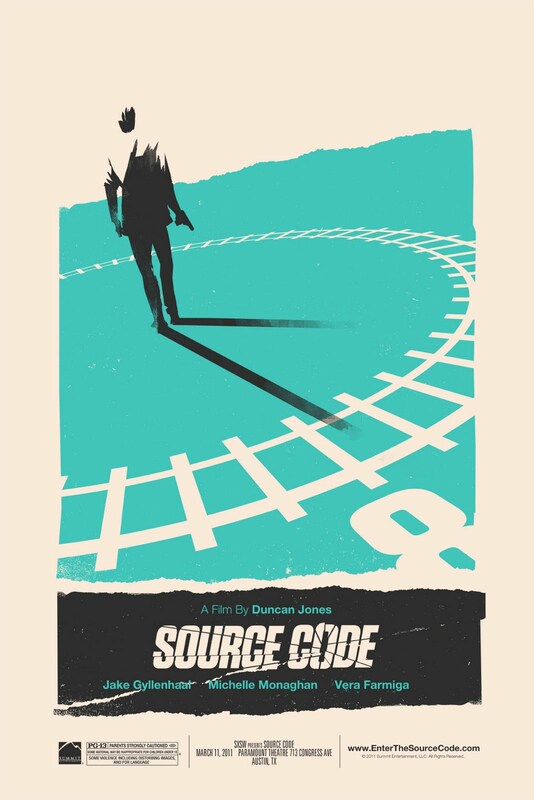 (Expels air) Um, what is source code? Response: Shoosh! There is a movie on! That is basically a scene from the movie and I am not joking. Did I hate this movie? Quite the contrary, I liked it but as I mentioned earlier, I have to limit myself to thinking of what I saw on screen. If I start thinking about how it delves into the many-worlds interpretation, quasi-time travel or how the source code machine works then it all falls apart. I know this is borderline cynicism but I did really enjoy this movie. It was more character driven than plot driven and that is why it works. 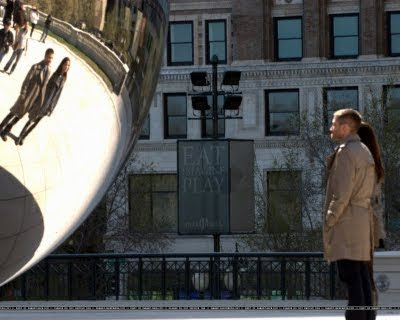 Simply, do not mind the man behind the curtain (all the aspects concerning "source code" as a plot device) and watch these people try to stop the unthinkable/ absurd. Now, I have read some of the reviews for the movie and I do not agree that Source Code is a "mind game" or that it is "Confounding, exhilarating and challenging" (Thanks, Roeper). To be either of those, the audience must know what the technology (source code) is, other than that it is absurd. Approach the film from the character angle and a fun time will be had by all. You can see the ending coming a mile away but it still does not matter. Not because it makes sense (it really does not, it is actually impossible from the science perspective), it is because you become invested in these characters and damn it, after awhile, you get sick of seeing them die repeatedly. 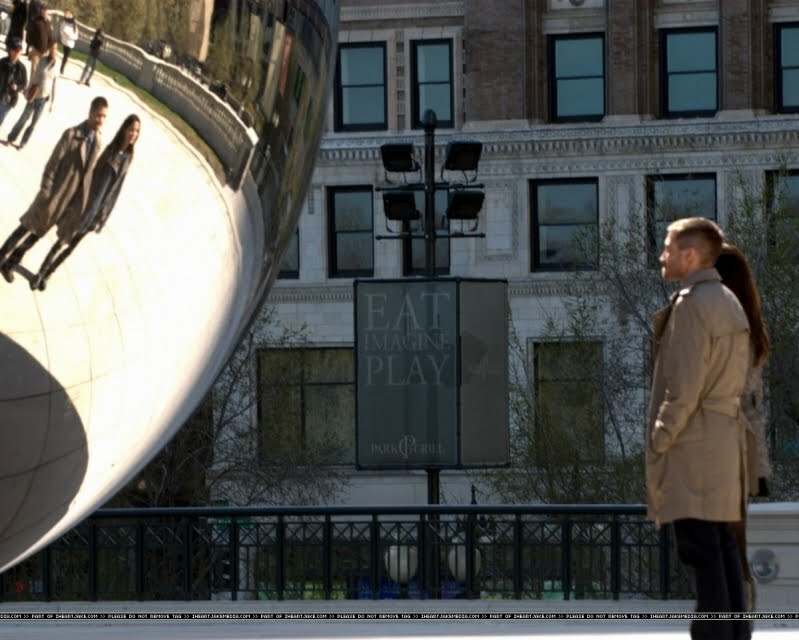 So, after they end up at the bean... You leave oddly satisfied knowing that your dollar fifty was well spent. That is unless you paid anymore for the movie... You might not feel that way especially if you are physicist.